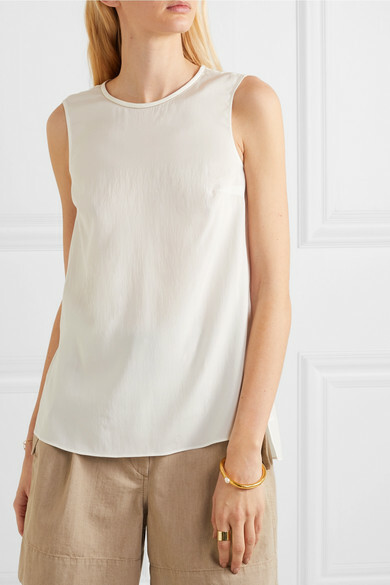 Brunello Cucinelli's top is decorated with the brand's signature delicate Monili beads at the neckline. 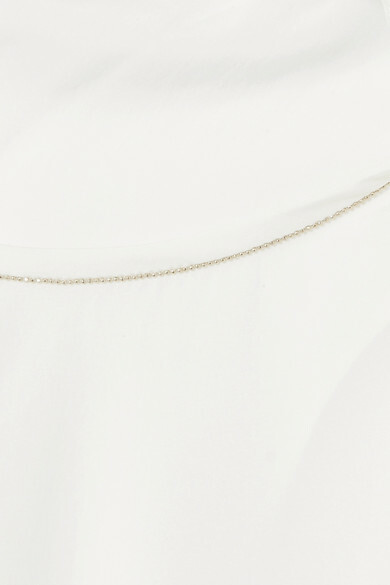 It's been made in Italy from soft off-white silk enhanced with stretch and has side slits at the stepped hem to allow even more flexibility. 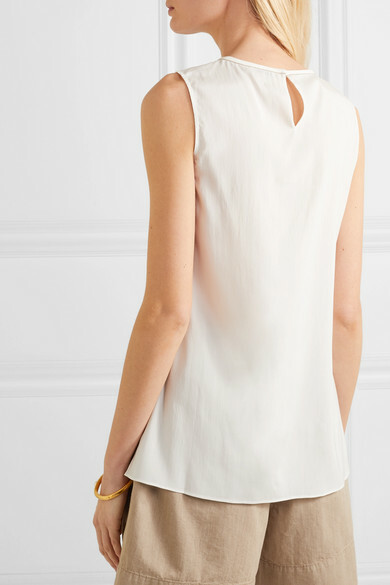 The sleeveless cut makes it ideal for layering underneath a lightweight blazer come summer. Shown here with: Brunello Cucinelli Shorts, Loewe Shoulder bag, Gabriela Hearst Sandals, Alighieri Bracelet, Jennifer Fisher Ring, Alighieri Bracelet.